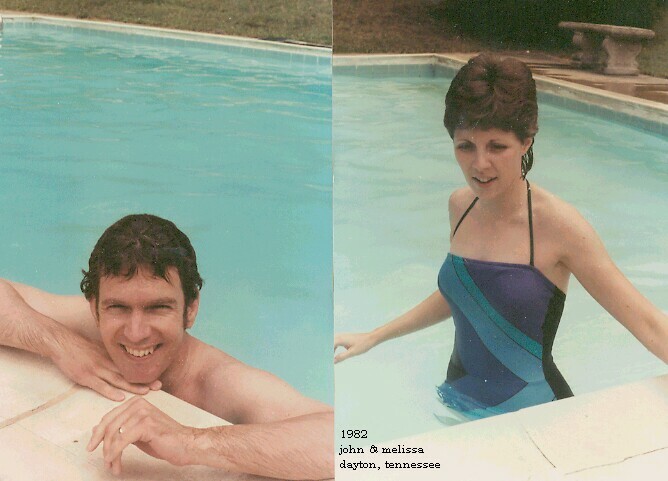 In 1982 Melissa and I took a trip (my suggestion) back to Bryan College, in Dayton, Tennessee to visit Bob Soltner. Bob and I were good friends during the two years I attended the small Christian liberal arts college situated atop the highest point in that town where the "Scopes Monkey Trial" was held, and where William Jennings Bryan died a few days after the trial's conclusion. Dr. Bartlett, the current school president, allowed us to use the pool at his house one afternoon. Bob had some political clout in those days.